This blogpost started with a simple BEA-error regarding NodeManager communication. So the first parts documents the solution for this. Later the error occured again and the Weblogic domain configuration was changed to what we expected it to be in the first place (see update 24-08-2011). Later on we tried to pinpoint where this non-expected configuration occured from, and this resulted in the last update (see update 25-08-2011). 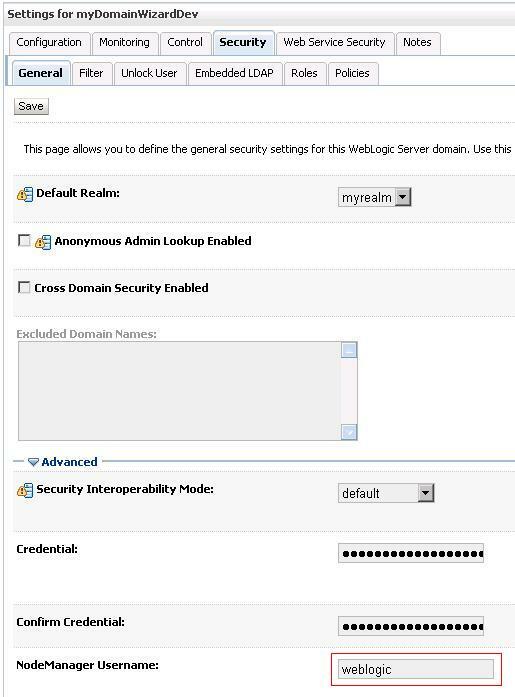 Network communication between Managed Servers and Admin works, because configuration changes (the config.xml file) is being replicated to the Managed Servers. However the Managed Servers can not be restarted due to an unreachable remote Node Manager. The first solution was found on the Oracle Forums where it is mentioned that we could nmEnroll the remote machines NodeManager again to the AdminServer. During the installation of the Domain we already did this, so apparently for some reason unknown the NodeManager user and password token got conflicted between the 2 entities. Successfully enrolled this machine with the domain directory at C:/myDomain. However the problem kept reoccuring in the domain so we needed to find a permanent solution. 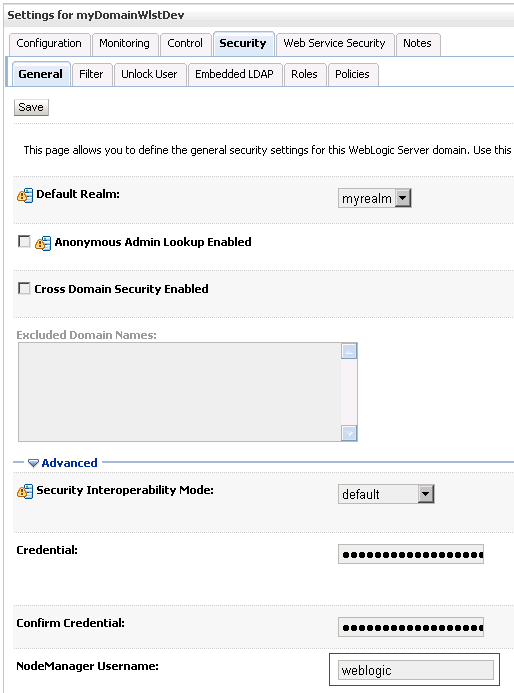 # Open Weblogic 10.3 template. Just the most basic Weblogic Config Wizard steps: Sun JDK + Development Mode + default settings (Admin / MS / etc) so skipping these configuration steps. 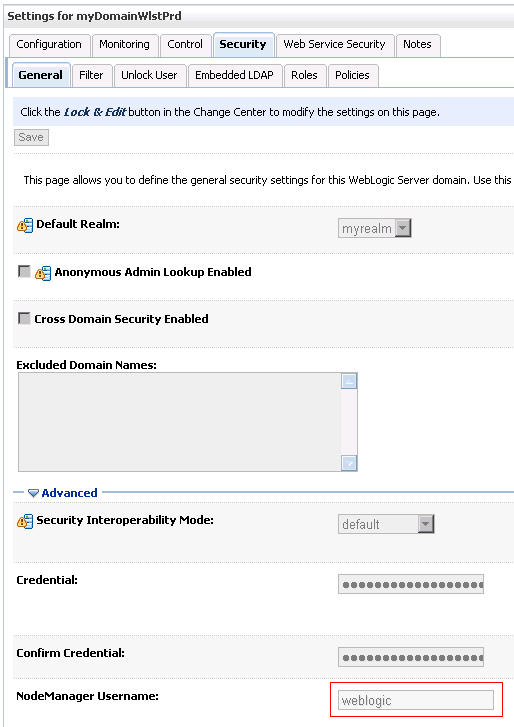 The Weblogic Config Wizard generates nodemanager credentials for your domain when you choose production mode. I can’t remember reading about this in the Weblogic documentation regarding DEV vs PRD differences. So I’m not sure at the moment if this is working-as-expected and if there is some specific security reason for it. you saved my life! I had the same problem, and editing the nm_password.properties file fixed it.